The Grand Canyon of Colorado is a world-famous natural wonder. It is called as the biggest fissure on the earth and located on the Kaibab Plateau in the northwestern part of Arizona. The Grand Canyon is 446 kilometers long, with an average width of 16 kilometers, a maximum depth of 1,740 meters, and an average valley depth of 1,600 meters. “Colorado”, in Spanish, means “Red River”, which is due to the large amount of sediment in the river, and the river turns red. Its width is between 6km and 25km. The two sides of the canyon are high in the north and low in the south. 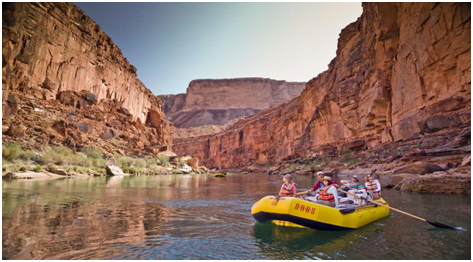 The Grand Canyon is extremely irregular and twisted, like an unruly giant python, crouching above the Kaibab Plateau. It has been said that the only natural landscape that can be seen by the naked eye in space is the Grand Canyon of Colorado. As early as 5,000 years ago, Native American Indians lived here. In the Grand Canyon, there are 75 species of mammals, 50 species of amphibians and reptiles, 25 species of fish and more than 300 species of birds. The entire national park is a paradise for many animals. 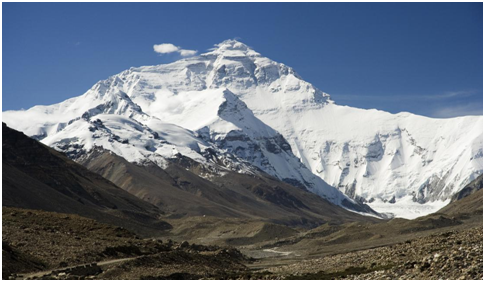 Mount Everest has a giant pyramid shape, it is magnificent. The terrain is extremely dangerous and the environment is extremely complicated. The height of the snow line is 5800-6200 meters on the north slope and 5500-6100 meters on the south slope. There are three steep walls (north wall, east wall and southwest wall) sandwiched between the northeast ridge, the southeast ridge and the west mountain ridge. There are 548 continental glaciers between these ridges and cliffs, with a total area of 1457.07 square kilometers and average thickness up to 7260 meters. Due to the strong northwest cold current control, the temperature can reach -60℃, and the average temperature is between -40℃ and -50℃. The climate in and around the Everest region is complex and variable, and even within a day, it is often unpredictable, including tumultuous rains throughout the year. In general, the rainy season is from early June to mid-September, and the strong southeast monsoon causes heavy rains. From the beginning of September to the end of October each year, there may be better weather, which is the best season for mountaineering.